Meet Experimental Rocket #6 (X6). Otherwise known as Helios. The previous “working” name of this rocket was “Perseus V”. Helios X6 represents my next step in rocketry as I work my way to level 1 certification. 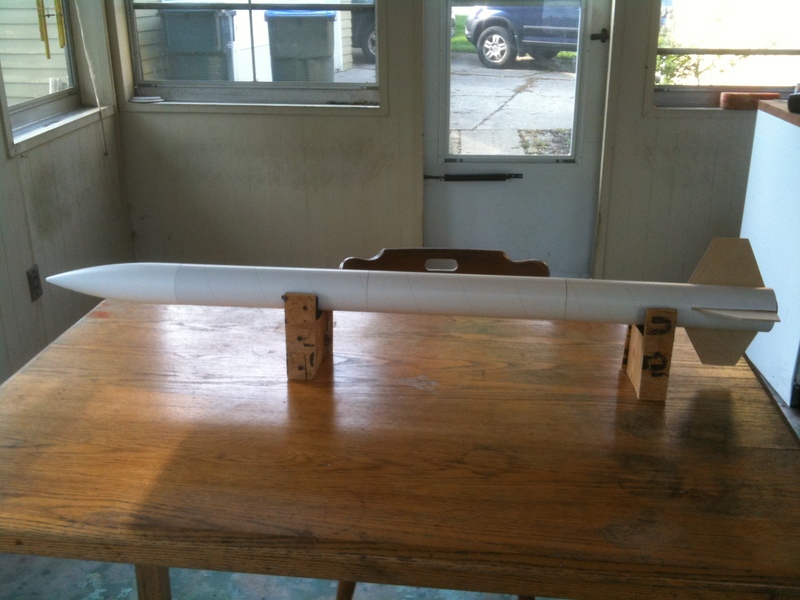 It is essentially an upscaled version of the Perseus X4 rocket, but with many additions which are possible due to its larger size. Thanks to its size, it became possible to design Helios X6 to carry a full complement of electronics as part of its standard configuration. It’s also designed to meet Level 1 specifications, and when fully loaded, will require (level 1) H motors for flight.